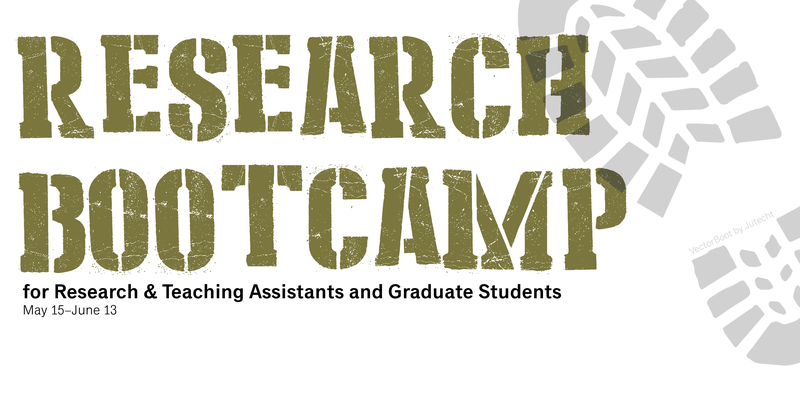 For the third year, the Dalhousie Libraries is offering Research Bootcamp, a suite of sessions designed for teaching and research assistants and graduate students. If you know of someone who could benefit from developing effective and efficient information management techniques and literature search skills to support research endeavors, please share this information with them. Faculty can recommend the workshops to their RAs/TAs or register on their behalf. Participants can attend most sessions in-person in Halifax (various Halifax Campus locations) or via video conferencing at the Agricultural Campus or DMNB.